Natural hair is such a beautiful thing. There’s so much that can be done to it; it can be straightened, curled, twisted or braided. So simple yet versatile; your god given tresses are there for you to embrace them and what better way to do so than rocking your curls. Have you tried to define your hair but it just never seems to come out right? This article is just right for you. Whether you have the loosest or tightest curls, your hair can be defined. However, this is not done in two simple steps. Firstly, you must accept that your curls will never be the same as your favorite Youtuber or natural hair enthusiast. The better the care that is given to your mane the greater the results. Before attempting to define your curls, it is best to ensure that your hair is constantly moisturized as hydration is a key component when styling natural hair. Your hair should also be trimmed regularly and you should ensure that your hair has no heat damage as this will prevent it from having the desired look, defeating the entire purpose. The less manipulation the better it will be for retaining your length. Here are 5 ways in which this can be done: Shingling’ two strand twist-out and Braid out, Finger coils, the Curly Girl Method and Maximum Hydration Method. This method was created by Miss Jessie’s salon and what it does define your coils, making them extremely curly. This is best done with freshly washed hair, you should part the hair into four sections. Start with the back sections by further separating it into smaller sections. Using a wide tooth comb, a brush or your fingers; you are going to apply a large amount of leave-in conditioner to each section ensuring that the product is distributed evenly. Once this is done proceed to rake the product through the hair strands from the roots to tips. A key part of this method is to carefully stretch the strands while smoothing on the products as you go. Once this is done you should move on to another section until your entire head is finished. Once this is complete you should avoid touching/ manipulating your hair by all means necessary until it is completely dry. This method is awesome as it gives you curl definition while maintaining length. This is possibly the easiest method and it comes quite naturally once you’ve gotten the hang of it. With these two styling methods, you can start on either freshly washed hair or dry hair. With two strand twists, you should start by separating the hair into larger sections, then further dividing each section. Each twist should be done by twisting two segments of hair around each other giving a rope-like effect. With this method its best to apply some form of moisture to the hair shaft as this enhances the finishing product. Once the hair is completely dry, you can start unravelling the twists. However, before doing so you should apply your favorite oil to your fingers and palms to avoid frizz. Braid outs are quite similar to twist-outs, however instead of using two segments of hair you divide each section into three and proceed to braid. This method tends to elongate your curls more. If you are looking for an essentially easy option to define your curls, these are perfect for you. These are somewhat the “oodles and noodles” of natural hair. This method is generally great for all hair lengths and can last for as long as two weeks post styling. With fingers coils, what you are doing is creating ringlets of hair. This should be done on wet hair which can be separated into smaller curls once it is dried. Like the previous methods this is best done on moisturized hair. The hair should be sectioned into an inch or half an inch with a rat tail comb or your fingers, which is then curled with a twisting motion. It is best to apply your favorite hair gel to hold the curls in place. Once it is completely dried, you can either wear it as is or further separate it into smaller sections. Developed by Lorraine Massey, this method eliminates sulfates, silicones, petroleum and heat completely from your hair routine. With this method moisture is key, you should start by cleansing your hair with either a sulfate free shampoo or by cowashing with a hydrating conditioner. After this is done, apply a leave in conditioner and gel with your fingers only in small sections. After each section is finished, do not touch your hair until it is completely dried. This allows the hair to form curls on its own. This method is great as it utilizes products that will penetrate the hair shaft and it eliminates heat that will alter your natural curls. It is advisable that you shampoo your hair at least once a month to remove product buildup. This is somewhat like the curly girl method. Starting on freshly washed hair apply leave-in conditioner to saturate the hair. This should be done for a week before going to bed and in the morning. Before going to bed you should clarify with a baking soda or apple cider vinegar depending on the porosity of your hair. After this is done you should deep condition your hair then secure the moisture by covering your hair with a shower cap while you sleep. In the morning you should rinse the deep conditioner, apply a clay hair mask for at least 15 minutes. Rinse the clay mask then apply a leave-in conditioner then seal with gel. The only downside to this method is that it can be time consuming. 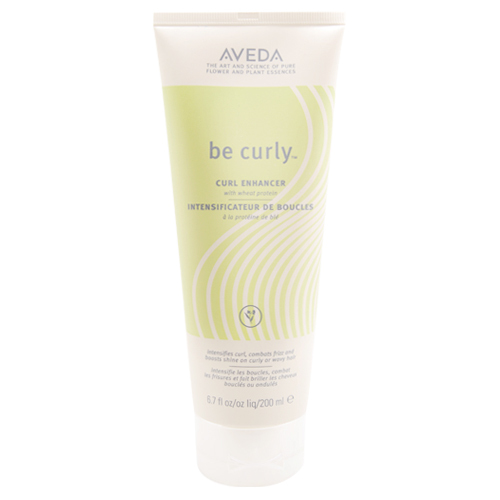 With so many options for you to choose from, defining your natural curls should be much easier. Complete curl definition is at your finger tips! When to wash curly hair?